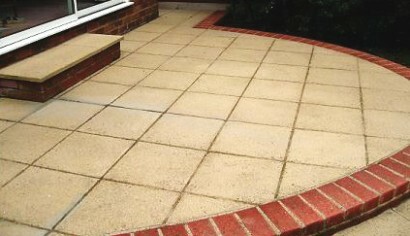 Cleaning and Sealing Block Paving - Online paving quotes. 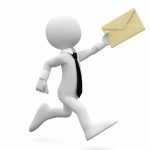 We can provide you with competitive cleaning and sealing block paving quotations from a database of authorised paving installation companies around the UK. Whether you are looking to renew your driveway, footpath, playground or patio, this service is completely FREE. Complete the online form TODAY to save money on cleaning and sealing your block paving driveway with Paving Prices. Concrete block paving is coloured with pigments which tend to fade and become dull over time due to weather conditions and use. Block paving manufacturers do not normally offer guarantees that blocks will hold their colour for the life of the bricks although it should not affect overall performance. Sealing block paving shortly after installation will enhance the colour, reduce fading and prevent staining from spillages or rubber from car tyres. It also makes it easier to clean the surface of the blocks. 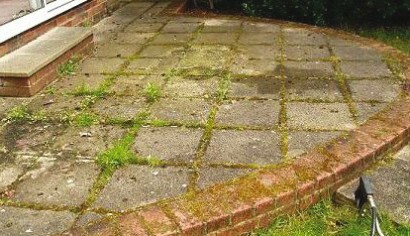 Regardless, block paving will look more attractive if it is cleaned and cleared of weeds from between the joints. This should be carried out at least twice each year and if necessary, the joints re-filled with kiln-dried sand. Basic cleaning of block paving consists of nothing more than using soapy water and a stiff brush to clean the blocks and keep weeds at bay. For a professional finish however, a rotary washer will be more effective. Most oil stains should be removed with a mild detergent. 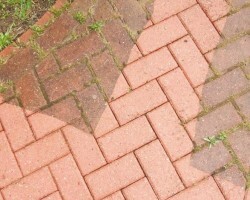 Acid-based cleaners should not be used as they can spoil the surface of the block paving. For an effective restoration of block paving, the blocks will need to be professionally cleaned and sealed. Many different types of block paving sealer are available which are either water-based emulsions or urethane based. Water-based sealants are inexpensive and need to be applied every year but they are no more than a colour enhancer. Urethane sealers penetrate the surface of the block paving to repel oils, prevent staining and help to eliminate the growth of weeds. Urethane sealer also bonds the grains of sand in the joints together, which helps to hold the blocks firmly in place. Before sealing, the block paved surface should be completely clean of dirt, moss and oil. It should also be clear of efflorescence which is the dusty white powder which can form on the surface of the blocks when they are new. 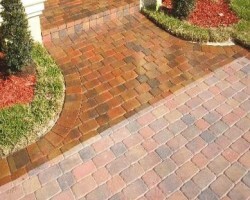 Once the driveway is clean, damaged or badly stained blocks should be replaced and joints between the blocks should be filled with kiln-dried sand. Block paving should be completely dry before urethane sealant can be applied. 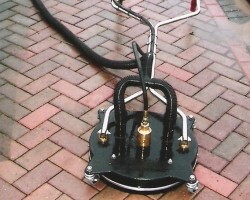 Most urethane block paving sealants can be applied to the surface of the blocks with a sprayer unit, a roller or can be painted on with a brush but the driveway or patio area should not be used until the sealant is completely dry. Efflorescence, also referred to as lime bloom or white bloom, appears as white dusty patches on the surface of block paving just after it has been installed. It is a natural phenomenon and will generally form on most cement based products early in their life. Efflorescence can disappear when the blocks get wet and then re-appear as it dries but it has no detrimental effect to the block paving; and it is not a manufacturing fault with the blocks. 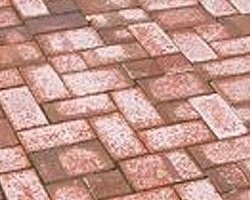 How is efflorescence formed on block paving? All cement based products such as concrete block paving contain lime (calcium dioxide) which is soluble in water. When the blocks get wet some of the calcium dioxide dissolves to form calcium hydroxide. Calcium hydroxide is known as the milk of lime and when the surface of the paving dries out again it allows the calcium hydroxide to rise to the surface. It then reacts with carbon dioxide in the air to form calcium carbonate – the dusty white powder you see on the now dry surface of the paving. All signs of efflorescence on block paving will disappear given time, as the chemical processes which cause it, slow down and eventually stop. Some block paving cleaning solutions claim to remove efflorescence but in truth they are fairly ineffective and only time will properly resolve the situation.